I wanted to dos in and chat about a few new-to-me brands that I've discovered on Instagram as of recently. I'm all for a solid shopping spree at Urban Outfitters, Free People, Nordstrom or even Forever 21, but there's something about a smaller fashion-forward clothing company that just makes me NEED to buy absolutely everything. As a style blogger, I spend a lot of time on Instagram hoping to stumble upon unique clothing brands. I have found a number of smaller clothes brands (in comparison to the large corporate companies we all know) that have made me straight-up DROLL at my phone. I wanted to start out by sharing with you a brand that encaptures the past trends that have come back in a simplistic style. I know this brand sells through to large retailers, but the brand is relatively new to me, so I’m adding it to this list. Vetiver Collection is a vintage-inspired clothing line with feminine silhouettes, unique styles, & fun prints. It’s such a summer-y situation. This is one that is a little more expensive than I usually prefer when it comes to everyday clothes, but the quality of their product allows you to wear & re-wear. If you’re looking for a cute beach-inspired daytime outfit, take a look at Vetiver Collection. 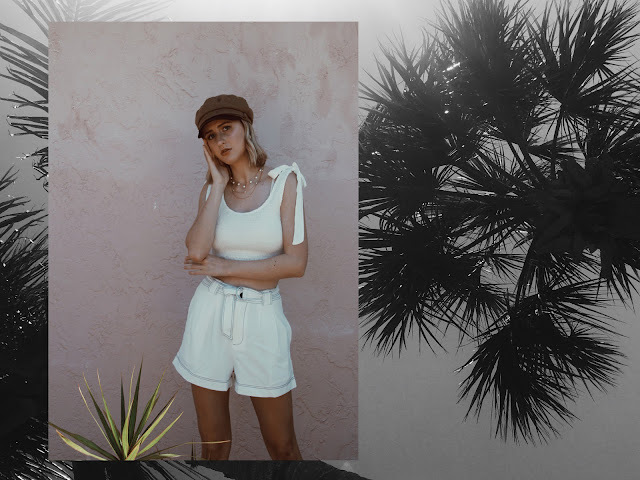 Bamba is an Australian brand that has been ALL OVER Instagram lately. Not only does this brand’s imagery INSPIRE ME to no end, the swimsuits & clothing they make INSPIRE ME to buy absolutely everything. Their film series IS absolutely everything, by the way. I’m all about their classic Vino top + bottoms in all the colors they make it in ( seriously want them all ), the Cozy one piece ( that RED, tho ), & the Alpha top + bottoms. Bamba swim is worth the instagram follow, too. Trust me. I saw this brand for the first time a little less than a year ago on one of my style muse @songofstyle (what else is new). This label is a little pricey, but their designs give me LIFE. You et what you pay for. The quality is insane and I can see myself in every piece. I'm picturing one of their unique tops paired with a denim skirt that can be dressed down or dressed up for any occasion and any season. My favorites are the Kemi Kemi top and the classic Chanelle a Vision. If you can not see a pattern in my closet, I am in love with Australian brands. One of my favorite Australian brands would have to be Lioness. I discovered it on one of my consistent online shopping spots, princess polly, and can not get enough of it ever since. They have unique piecestat are like nothing else and make you stand out from the crowd. It is super affordable and is the perfect mix between girly and edgy. I recently have been putting together a steal a celebrity's look video and when I was finding an outfit for selena gomez, I noticed that a lot of her girly and simplistic dresses were all from the same brand. After discovering this brand, I ordered one dress from them and I swear I can never take it off because it is so comfortable and so me! So which one of these brands is your fav?? Like I said, I love sharing brands that genuinely inspire me to put together outfits that I feel most myself in. This list is a solid place to start, in my opinion, if you’re looking to build a unique, trendy, BOMB wardrobe. If y’all end up discovering a brand you’re obsessed with on this list or if you end up ordering something from any of the above, don’t forget to snap me a lil’ pic vis Instagram! I LIVE FOR getting DMs from y’all trying out anything I’ve suggested on ELx3.